Doors Weather Stripped Repair | Adriatic Restoration Corp.
A very important element in any high rise building is their balcony door. 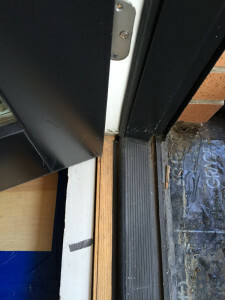 Balcony door repair is required as the door is exposed to the elements and is usually used often. Adriatic Restoration has the expert knowledge required to properly perform any, and all of your, balcony door repairs and repair sliding door tracks, reinstall weather stripping, apply caulk & gaskets where needed, and make any frame repairs.